This page reviews common errors associated with filing the Free Application for Federal Student Aid (FAFSA) and New York State TAP Application. Additionally, it addresses issues that can arise from course repeats, a non-matriculated status, and enrolling less than full-time. Parent and/or student signatures are missing: All students and parents of dependent students must sign the FAFSA either electronically or via a paper signature page. Be advised that parents that are not U.S. citizens must follow the steps to sign the FAFSA via a paper Signature Page. To sign the FAFSA electronically, use your Federal Student Aid username and password. If you do not have an FSA username and password or have forgotten your credentials, visit www.fsaid.ed.gov. To sign the FAFSA via paper, print the Signature Page at the end of the FAFSA and mail to the Federal Processor, as indicated. The name or date of birth you (or a parent) reported on your FAFSA does not match the name in the Social Security Administration's (SSA) records for your Social Security Number (SSN). If the SSN provided on the FAFSA is incorrect, you must correct it. If your name and date of birth is correct, you must confirm it by reentering both your first and last names, and your date of birth, on the FAFSA. This is impossible; review your tax return and correct the FAFSA as needed. Alternatively, is possible, link the FAFSA to the IRS to ensure accurate information is reported. The Social Security Administration (SSA) did not confirm that the Social Security Number (SSN) you (or a parent) reported on your FAFSA is correct, and also could not confirm your U.S. citizenship. If you believe that the SSN you reported is correct, contact the SSA by calling 1-800-772-1213 or by visiting www.socialsecurity.gov. If the SSN is incorrect, you must correct the SSN on a paper SAR or submit a new FAFSA online with the correct SSN. To receive federal student aid, a student must be - (1) A U.S. citizen (or U.S. National), or (2) An eligible noncitizen, such as a U.S. permanent resident or a resident of certain Pacific Islands, or as determined by the U.S. Department of Education. Undocumented students or students granted Deferred Action under the Deferred Action for Childhood Arrivals (DACA) are not eligible statuses to receive federal financial aid. Please refer to the US Department of Education's publication, Financial Aid and Undocumented Students for more information. You reported that you (or your parent) will not file an income tax return, but the amount you reported for your parents' income appears to be over the minimum amount required to file a tax return. Make corrections to your FAFSA and/or file a tax return if required. Dependent students are required to report their biological and/or adoptive parent's information on the FAFSA. If the student's custodial parent is remarried, the step-parent must also be included on the. Tried completing TAP on the Web before a valid FAFSA submitted. Wrong school listed - institution should be SUC Buffalo 0905. Required signatures missing - signatures of student, parents and spouses are required. Did not include parental income - must meet age requirement to exclude parental income. Date of birth or Social Security number wrong - must be corrected. Used wrong income number or left income blank - must use NY State Net Taxable Income, not Adjusted Gross Income (AGI). Each individual aid program also has eligibility requirements based on the credit load that a student takes.To receive federal and state aid you must be a regularly admitted student in a degree or certificate program or meet one of two exceptions. A student's matriculation status determines whether they have been "regularly admitted". Students also need to be aware of the affect that repeating a course will have on their aid eligibility. Most students are admitted to the school provisionally pending receipt of a final transcript. New freshmen who fail to submit a transcript which shows receipt of a high school diploma and graduate students who fail to submit a transcript showing that a bachelor's degree has been conferred are not eligible to receive financial aid. If aid has been disbursed it will be returned and the student will owe the school for any accrued charges and the amount of aid that was refunded to the student for living expenses. Students taking continuing education courses, visiting students, and special students who have been allowed to take courses but have not been formally accepted by the college are considered non-matriculated and are not eligible to receive financial aid. Postbaccalaureate teacher certification students are eligible to receive aid as undergraduates even though they are not in a degree or certificate program. Likewise, undeclared (premajor) graduate students may also be eligible to receive aid for one year as an undergraduate, if they are taking prerequisites, even though they have not been accepted into a degree program. Students must be enrolled half-time (6 credit hours) to receive Federal Stafford Loans or Federal PLUS loans. Students must be enrolled full-time (12 credit hours, or 9 hours for graduate assistants) through the end of the tuition refund period (fourth week) to receive TAP. Federal Pell Grants are prorated based on the number of credit hours a student is enrolled. The corresponding credit loads are full-time (12 or more credits), 3/4 time (9 - 11.5 credits), half-time (6 - 8.5 credits), or less than half-time (0.5 - 5.5 credits). Awards will be adjusted up or down to reflect changes in enrollment status through the end of the tuition refund period (fourth week) even if the grant has been disbursed. After the fourth week changes up or down will not change the award amount unless a student withdraws from all classes. APTS is for students enrolled 3 - 11.5 credit hours.  Buffalo State policy allows students to repeat some classes for which they received a passing grade. However, TAP policy only allows students to repeat courses that were previously failed. Therefore, if a student is repeating a class with a passing grade and wants to receive TAP they must be enrolled for at least 12 credits in addition to the course(s) they are repeating. Students are now limited to repeating a course once. If a student registers for a course a third time it is considered an illegal repeat and will not be used in determining a student's credit load for financial aid purposes. Also, in determining whether a student is making satisfactory academic progress for federal aid the repeated course will be counted as attempted each time it is taken but counted as completed only once.